New Right chairman Naftali Bennett expresses concern over Trump administration's peace plan. Education Minister Naftali Bennett (New Right), a member of the Political-Security Cabinet, demanded on Tuesday that the details of the Trump administration’s peace plan be published before the elections in Israel. "Imagine a group of doctors discussing your body and preparing to remove a part of your body without telling you which part. That's exactly what is happening here," Bennett said. "The people of Israel demand to know all the details of the plan before the elections. So that the voters can vote for the right or for Palestine," Bennett added. 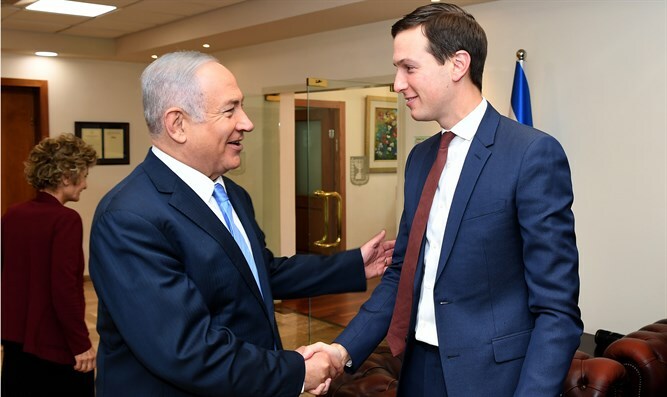 On Monday, US President Donald Trump's adviser and son-in-law Jared Kushner, who heads the team formulating the administration's peace plan, revealed several details about the plan to Sky News in Arabic. On Tuesday, the chairman of the Republican Party in Israel, Attorney Marc Zell, sought to reassure the right in Israel of the possibility of a plan that would threaten the integrity of the State of Israel.